Clinton marched 8,000 troops north from New York City towards West Point, 50 miles upriver. 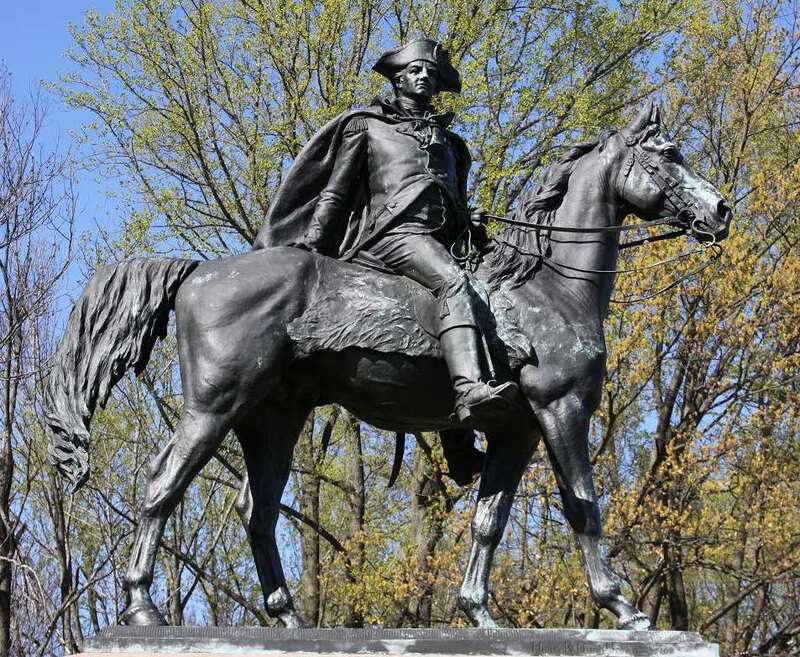 Clinton hoped Washington would come out of Middlebrook in force to protect the valuable West Point, which was the key to holding the upper reaches of the Hudson. Clinton's real goal, however, was not to take West Point, merely to draw Washington out of his encampment. In May, Clinton's army took Stony Point and Verplanck's Point, ten miles below West Point. These two points were on opposite sides of the busy King's Ferry crossing. Clinton knew that capturing these two points would make it look like the target really was West Point. After several weeks, however, Washington still had not taken the bait and Clinton sent much of his force on other missions, leaving only about 600 men at Stony Point. Washington himself came to observe the defenses at Stony Point and devised a plan to take it back. 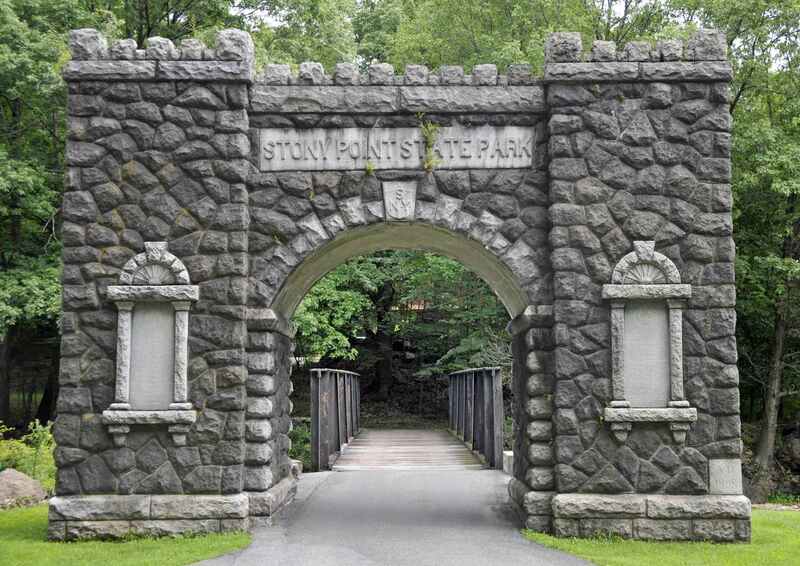 Stony Point is a triangle that juts a half mile into the Hudson. The west side, at the time, was mostly a swamp with a single elevated road through it. The other two sides that made the point, were steep, rocky slopes. Washington's plan was to have a force attack each rocky side, with another force attacking the point. Everyone would scale the heights to the garrison at the top. Another force would make a show of attacking over the main road from the west, but this would be a feint. On the evening of July 15 around 8 pm, Wayne's force arrived at the Springsteel farm, just west of Stony Point. They formed into their columns and began their attack around midnight. Wayne's column, approaching from the south, found its crossing point flooded with water and had to wade across. British sentries saw them and began firing on them. Wayne himself was shot in the head, but his group continued up the hill and overran the British defenses. The other two attack groups made it to the top as well and the British were forced to surrender. The Americans lost 15 dead and 83 wounded, while the British had 20 killed with 74 wounded, 58 missing and 472 prisoners. Wayne survived the gunshot wound and went on to serve with great distinction for the rest of the war. Congress awarded him a medal for his bravery at Stony Point. The Battle of Stony Point proved not to be a decisive factor in the war, but it did give a much needed morale boost to the Continental Army. A planned continuation of the attack to Verplanck's Point was called off and Washington abandoned Stony Point within a few days. This was one of the last battles of the Revolution in the north as the British shifted their strategy to conquering the southern colonies.